An important aspect of helping students choose to matter is also helping them discover what they are most passionate about. If we want our children to change the world, then they first need to care about it. But caring about and fixing the entire planet is far too big of a task for one student or one group of students. We need to help our students find at least one thing that they are passionate about and then to focus on that one thing as a means to making real change. Their ideas were pretty vague, "family," "friends," "nature," so I think next year I'll have them make two maps. The first one can be like those above, with fairly general ideas on what they're passionate about. The second heartmap will dive a bit deeper into these topics and I'll ask them to be a lot more specific. During her Quest2Matter webinar on Classroom2.0 Live, Angela Maiers spoke about "heartbreak maps" as a tool to helping kids explore what breaks their heart about their world. 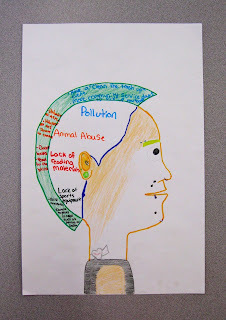 Two days later I had my students get out their heartmaps and begin looking at them from an entirely new perspective. I asked them, "Now, what breaks your heart about these things that you are passionate about?" I provided them with an example of my own: "I am passionate about reading, but it breaks my heart that there are children in this world who will never hold a book in their hands." That got us a bit off topic for a few minutes, but it was a wonderful conversation about reading and the number of books we were going to read over summer. I'm always happy to have these kinds of interruptions! But back to the task at hand. 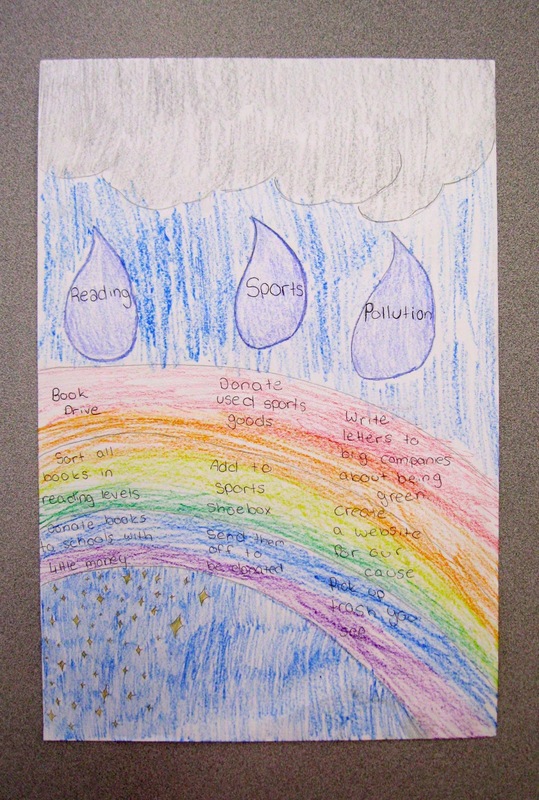 Students were then asked to make a list in their journals about the things that break their heart. After a few minutes, when it appeared that some students were having trouble with the exercise, I had them discuss it in their table groups to try and generate new ideas. 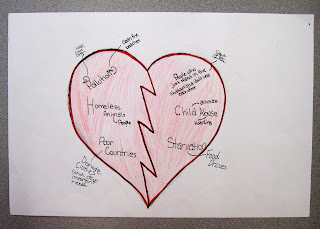 While they were talking I had the idea to have them create new heartmaps in their groups. These would be our heartbreak maps. In the center of your map, write and/or draw the things that you are passionate about. Clearly I need to do a better job of introducing this activity as not every group included the first task on the list (write what they're passionate about). I also think I'd like to have them do this as individuals or in pairs or groups working on one idea at a time. 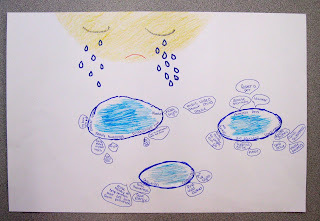 If we would have had more time, I would have used this as more of a brainstorming activity to help all of the individuals in the group understand how to complete a heartbreak map and, hopefully, develop some ideas of their own. No voice should go unheard. Often when working in groups too many beautiful voices are drowned out. 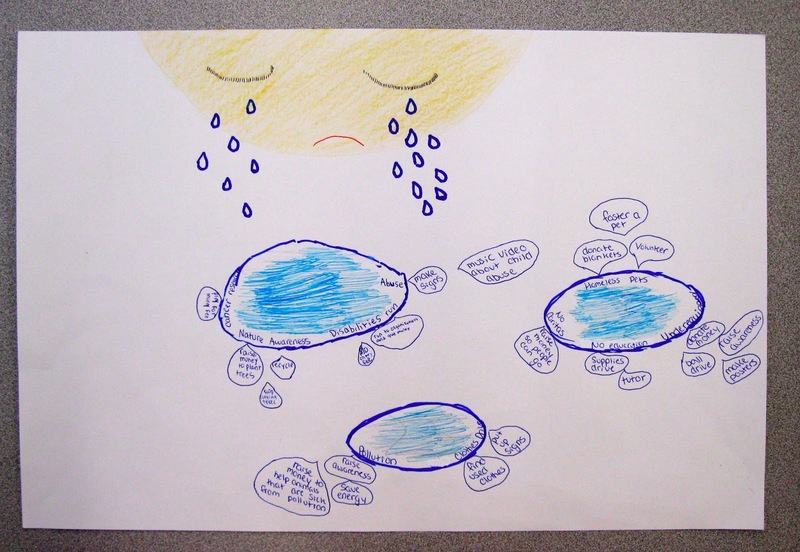 The next step for my students would have been to develop their own projects based on their heartbreak maps and then submit those projects to the Quest2Matter site. Unfortunately we ran out of school days with which to work together on this. My wonderful students, however, expressed a keen interest in working on a project or two over the summer. I'll be giving them a little push in that direction this week. Stay tuned. Wow! 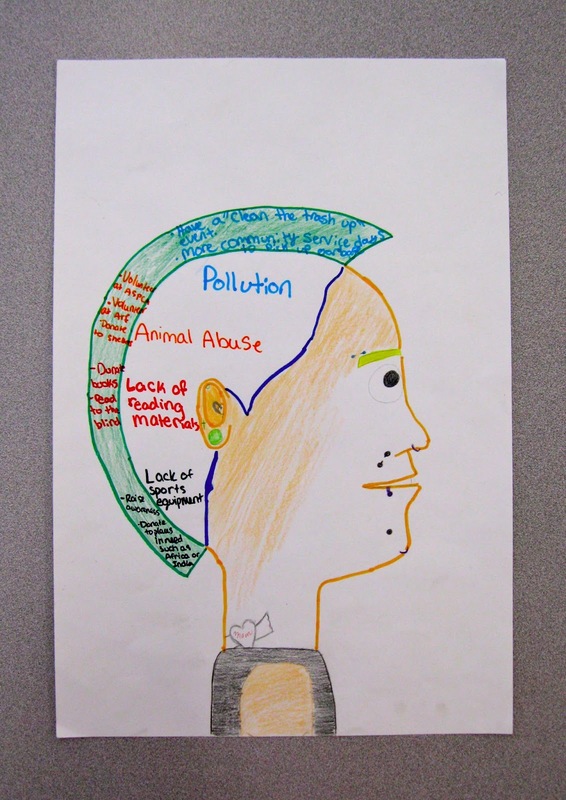 You may not have reached the intended goal, but you clearly reached many of your students to start thinking about being solutionaries for the issues that they care about.